Hope your Monday is as well as it can be!! 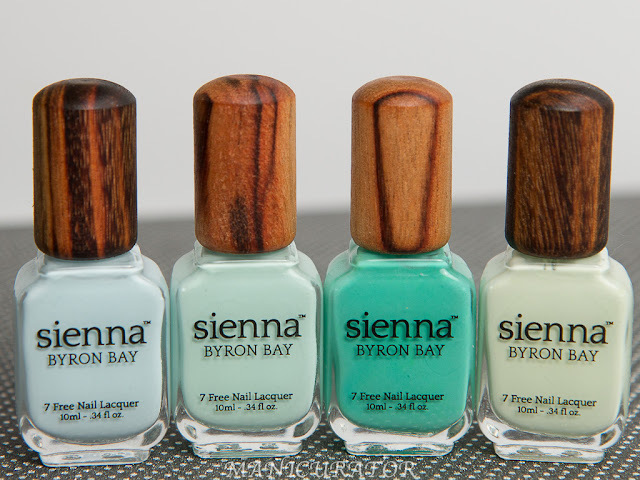 I'll be showing you three Chick Nail Polishes that I have been fortunate to receive. Have you heard about this brand yet? There are so many Indie and small business nail polishes cropping up these days...it's WONDERFUL to have such a variety and so many unique colors to choose from now, but I do think it's necessary to have a blogger and/or friend who has tried them to recommend. Glad I can be that person for you. Honestly, I would never have tried these, if they weren't sent to me and I absoluely recommend them! All of these are showing two coats of the polish and NO top coat. I cannot attest to the wear, because I didn't wear any of them more than a day. These are 3-free, non-toxic, vegan and made in the USA! Shop at chicknailpolish.com, connect with them on Facebook. From their shop description: "Gr8 Gray Owl -- pays homage to the griege craze that is here to stay. Sure to be a staple in your collection" This actually confused me, because I don't see any "beige" from the griege description. What I do see is a perfect light to medium gray cream that dries to a high shine. No difficulties in application or formula whatsoever. From their shop description: "Hipster Chick. This is a really different lime green packed full of twinkling glitter." This really is a different kind of green, not a bright lime green either, and those little glitters in there make it special. Keep in mind, these are showing you without topcoat. The topcoat gives it gloss and really makes the glitter pop. 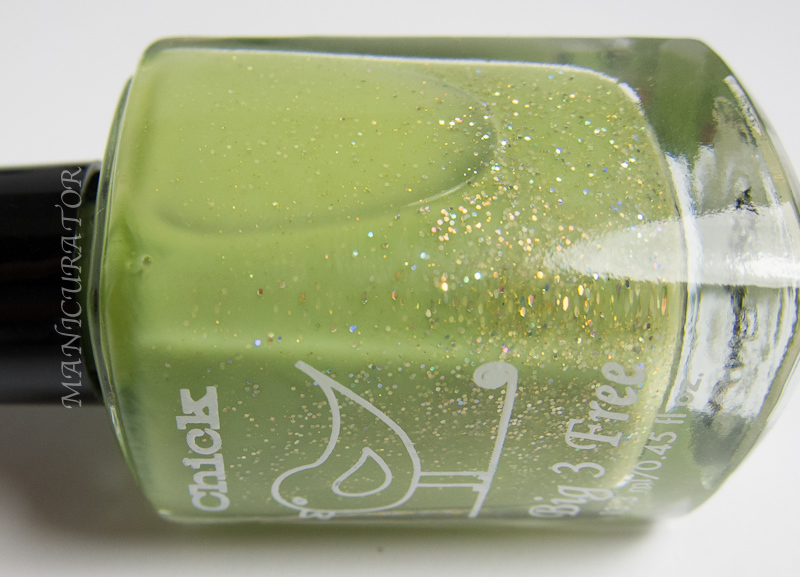 You can see it here with a different glitter topcoat on it. Easy application! Full coverage in 2 coats. From their description: "Rocker Chick is a beautiful blackened plum with fine magenta and copper micro-shimmer." Again, no issues in application or formula. This one is a perfect Fall/Winter's day polish, if you ask me. I'm in love with gray...so if I must decide..I like the gray one best from this set..but that green is really cool too :P How about you? 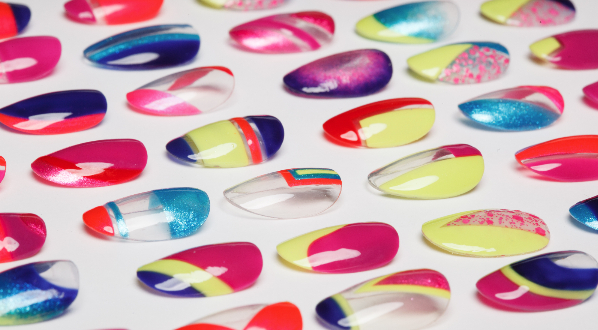 Do you have any Chick Nail Polish that you love? Great swatches as always! I've been drooling over Hipster Chick for a while now!! I'm in love with the gray one too! Fab swatches! Oh my what a beauties. I like the chick on the bottle hihi. But I also do like what in the bottle, especially the grey and the green one. I have seen other reviews on these polishes. I think they are just gorgeous! Mmmm these are fab! I really love them all! I love Chick polish! Honestly, I first bought it because I couldn't resist the little chick on the bottle with the light blue polish (All a Twitter) behind it. I read some reviews and decided to go for it. It wears really well. I bought All a Twitter, Gavie Green, Falcon Pearl, base and top coats, and cuticle oil. I was very pleased with everything. The oil is amazing and smells great. Gavie Green is my favorite color! Hipster chick is so fresh looking! Nice swatches!